Join Something Bigger Than Just You. Being part of our locally operated club is like having a family that shares a common thread… business! Vintage Business Networking Niagara is a networking club for business professionals. Don’t try to accomplish everything on your own, especially when it comes to growing a successful business. As a member, you’ll have your very own sales team to help you grow your business. Our Club is 100% locally operated by its members allowing us to focus on meeting the member’s needs directly. Our goal is to provide you with the best networking experience possible. We network and learn how to successfully grow our businesses through the supportive network of the Club and its members. It’s here that long-lasting business relationships form to strengthen your business future. Not Your Grandfather’s Networking Meeting. Our breakfast meetings are structured and follow a standard outline each week. Everyone participates at the meetings each week. Learn more about what’s happening in our local marketplace. Shares ideas, gain support, and learn how other businesses deal with challenges in their industry and how you might apply them to your business. Grow your business through networking, utilize Club members as your sales agents, generate leads and referrals so you can get more sales. Come take us for a test drive and enjoy your first breakfast on us! Whether it’s a Club BBQ, a night out or just a get together, we’re not all business all the time. What better way to get to know members better, build long term relationships and grow your business. Get your business recognized online through our website. Help with professional development by learning sales and marketing tips, how to give effective presentations, polish your elevator speech and learn general business information. We meet each and every Thursday, at JJ Kapps, 327 Ontario St, St Catharines ON L2R 5L3. Meetings start at 7am sharp and ends at 8:30am. Weekly, you’ll have the opportunity to provide an infomercial about your business, to let your sales team know what referrals you are looking for and to learn more about your business. At every meeting, one member will take 10 to 15 minutes to speak in greater detail about his/her business. The topic for discussion is at the speaker’s discretion and following the presentation, members are given the opportunity to ask any pertinent questions. Each meeting follows the same agenda: We enjoy a hot breakfast, referrals are given, and business is grown – all while having fun and building relationships. I look forward to our weekly meetings and the friendship/fellowship that comes with it. 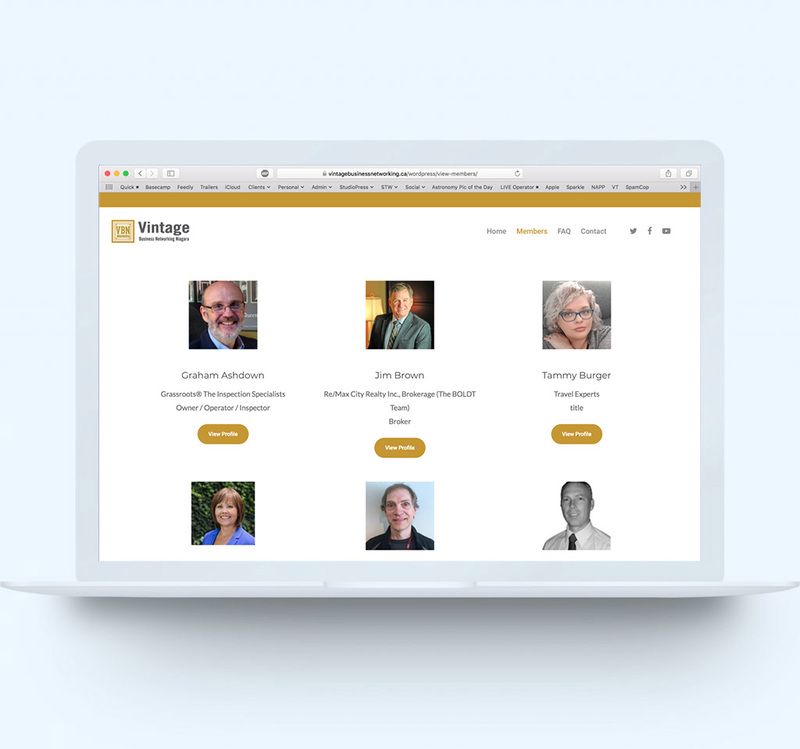 We’re a tight knit group of like-minded credible business professionals focused on positive attitude with positive results. The meetings give me a chance to inform others on what I do best, how I can help others and what kind of business I’m looking for. I always come away from the meetings feeling uplifted with something gained (and always look forward to next week)! Denise DunkleyDominion Lending Centres – Home Capital Solutions Inc. When I started The GDC Group in 1997 with my then-partner, it was just the two of us. Shortly thereafter I was asked to join a Referral Networking group to help grow my business. Today there are 5 of us driving our business' success, with an exponential growth in the number of clients and revenue, year over year. That growth is directly tied to my ability to rely on my Referral Networking Partners and have them act as my mentors and my sales team, diving qualified referrals, not unqualified leads. Not your grandfathers networking group. There’s nothing better than being involved with a high energy networking club that is structured, focused on getting referrals for members, and a great group to spend Thursday mornings with over breakfast. 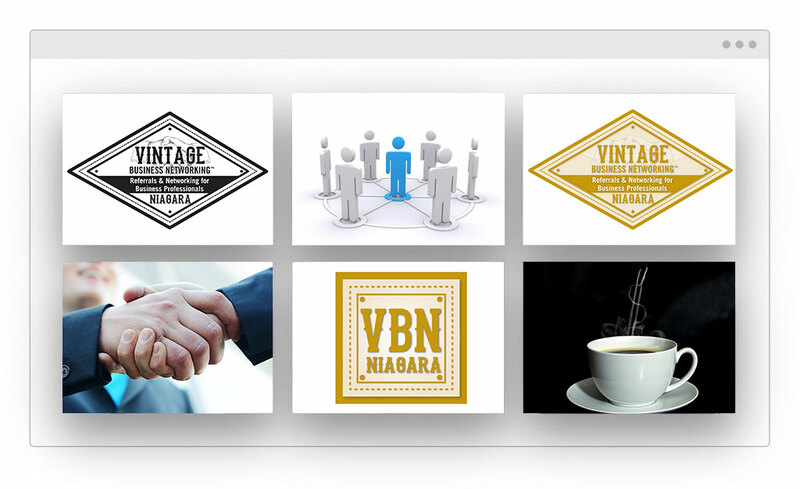 If you considering joining a networking club in Niagara – what can I say…Vintage Business Networking Club™ just works! We allow one member per business category. Here are just some of the categories we are hoping to fill. Don’t see your business category listed above? There’s still plenty of other categories we’re looking to fill, as well. If you are a business professional looking to grow your business with a dedicated referral network, we would love to hear from you. You may attend up to two meetings before applying. Only individuals are members in the Club, not a business entity, corporation, partnership, etc. You must be in business for a minimum of one year. Only one member per business category classification is allowed. Club members must represent their primary occupation and not a part time business. Attendance at the Club’s weekly meetings is critical to success.